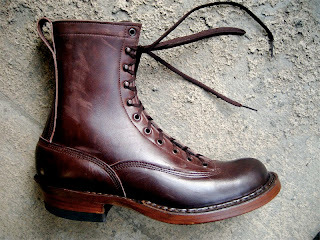 Local boot craftsman & fellow Free & Easy Blue Worker Julian Imrie of Julian Boots. The sight of Julian building up boots right there in front of our eyes was one of the many highlights of Rin Tanaka’s great 2010 Inspiration event. If you ever have a chance to watch this man work or wear a pair of his boots, do it. 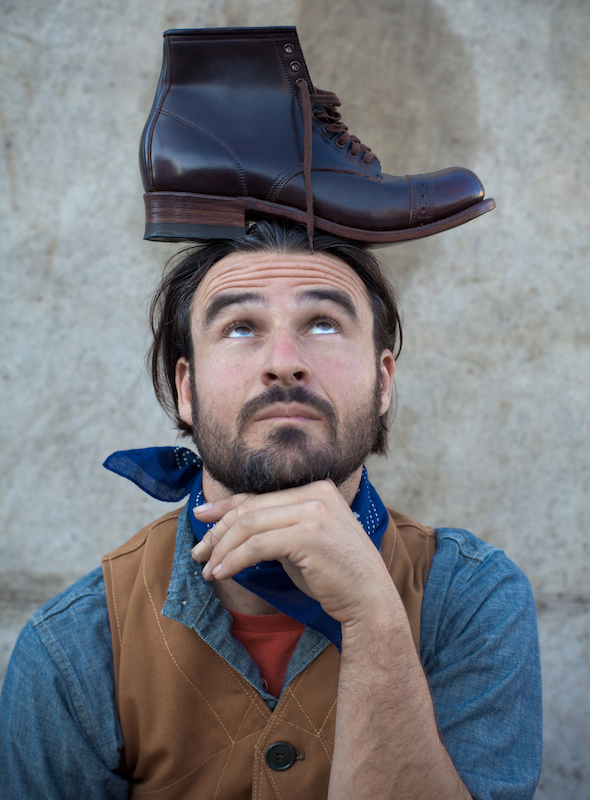 Julian is also the man behind the new RRL Bowery boots. 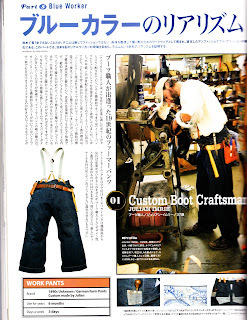 A nice piece on Julian and his fine work can be found on the website of fellow hand crafter of quality goods and one of the leaders in this new movement, Mike Hodis of Rising Sun & Co. here. Just added these to my gotta have list.